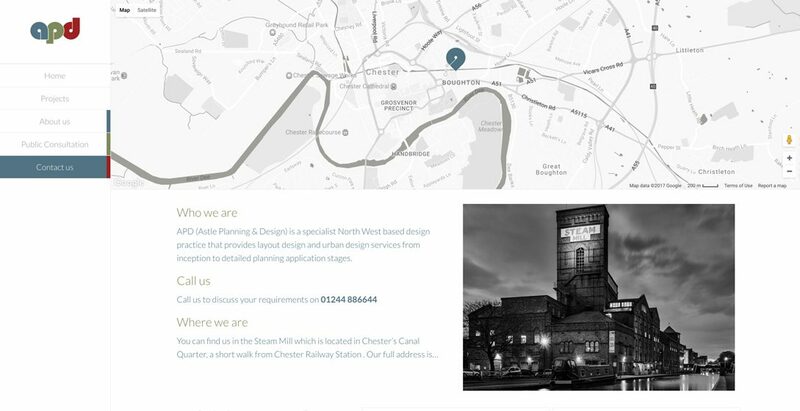 Astle Planning & Design is a specialist North West based design practice that provides layout design, masterplanning and urban design services for their clients. 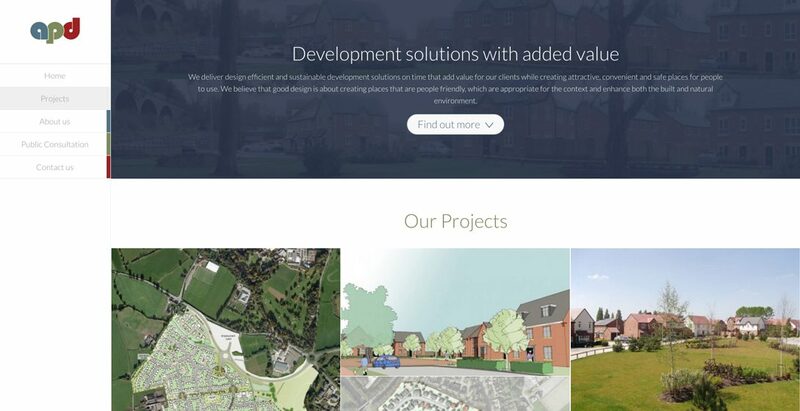 They initially came to us for a new website design and build that showcased their impressive design projects and the services that they provide. 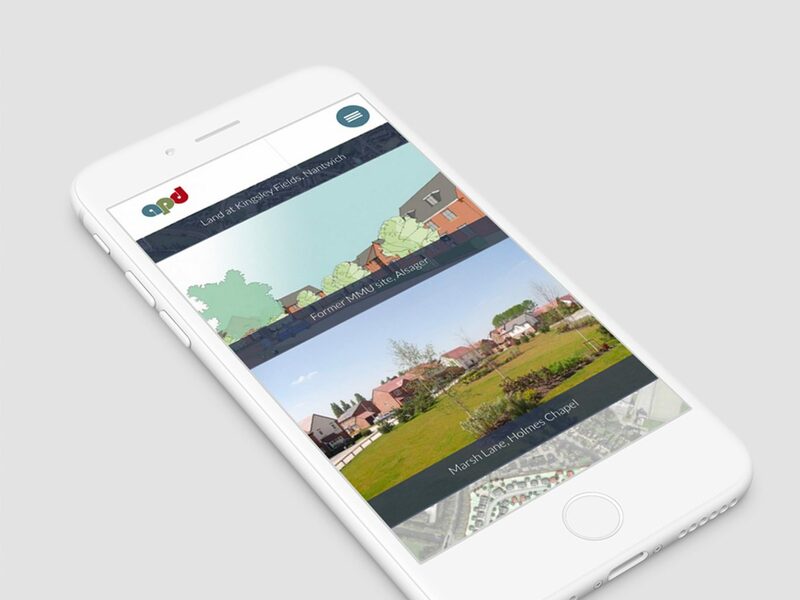 We designed and built a bespoke WordPress website that allows APD to have full control of future changes to their website. The brief for the website design was to showcase their capabilities and state-of-the-art design projects that they undertake. 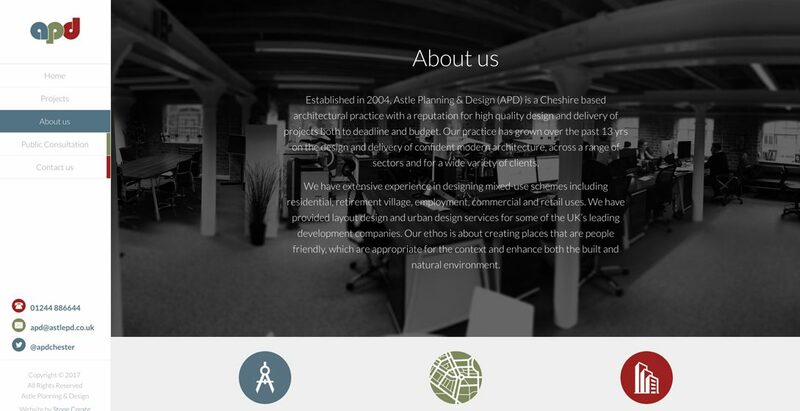 We wanted to push the boundaries of the design in WordPress, to really make APD stand out from their competition as a leader in their industry. 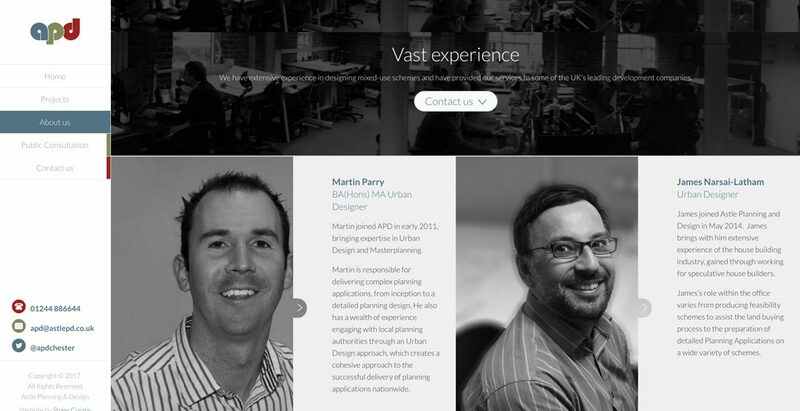 One of their requirements was that the new website worked well on mobile. They often promoted their previous projects to new clients on-site, which required the use of a mobile device. It was imperative that this new website worked seamlessly when in this situation. The custom WordPress-based website was designed for easy use on every mobile device, making the user experience one to remember. APD asked us to recommend some future promotional items. We suggested that they had branded umbrellas to use on-site when with clients. We also provided them with branded mugs which can be used in any situation and look great all year round on your desks and in meeting rooms.